QUICHE. It's honestly one of my favorite foods. So much that I really don't make it that often because I'm inclined to eat half of it when I do. But a couple weeks ago, I won two free product coupons from Wholly Wholesome (at Leslie Loves Veggies) to promote their current pie recipe contest. Free organic pie shells? YES PLEASE. *Apparently organic evaporated milk doesn't exist so I had to make my own, using these instructions. I started with 2 1/2 cups milk and ended with 1 cup (8 oz) evaporated. It took me about an hour. Thaw pie shell at room temperature for 20 minutes. Poke holes in the bottom and sides of the shell to vent. Pre-bake at 450F for 5 minutes. If the crust still puffs up despite the holes, don't panic or do anything drastic! Give it a couple minutes to cool and it may go down on its own. If not, gently push the crust back into shape. Heat a large nonstick skillet over medium heat and spray with nonstick spray. Add mushrooms and onions and cook for 5-7 minutes, or until the mushrooms begin to wilt. If using fresh spinach, cook at this time as well. Cook "bacon" strips in a skillet, 4 minutes on each side, until crispy. After "bacon" has cooled, crumble into bite-sized pieces. Combine mushrooms, onions, spinach, and "bacon" in a large bowl. Add flour, salt, pepper, and garlic powder and toss. In a separate medium bowl, whisk together eggs and milk. Add egg mixture and cheese to mushroom mixture. Pour into pre-baked pie shell. Bake at 350F for 45-60 minutes, or until eggs are cooked completely (check with a toothpick). Excellent. That's exactly what this quiche is. This was the first time I added the "bacon". The original recipe had real bacon so when I became vegetarian, I just left it out. But the "bacon" added a nice flavor and texture. I didn't like eating the "bacon" by itself (I tried it) so I wouldn't eat it for breakfast...but as an addition to meals for flavor and texture, it's awesome. And for you non-vegetarians, try it! Seriously. I won't say that it's the same as real bacon (because it's not) but inside a quiche like this, it's hardly noticeable. Plus, each "bacon" slice is 20 calories with 1g of fat! One of the easiest way to cut calories and fat in meals is to use meat substitutes when it doesn't really matter. I'm currently reassessing my meals. I know that sounds weird but to be the cheapest possible, I eat pretty much the same thing each day of the week. It's cost effective and it's easy to make sure that I eat a balanced diet. But after a couple of months, it gets boring. And lately my breakfast has stopped filling me up! : ( I'm thinking about adding a green monster somewhere in my day for energy...but I'm worried about the price of 2 cups of organic spinach a day. We'll see. Any suggestions? Do you ever reassess your nutrition? I think it needs to be done as often as possible to avoid boredom. It makes eating healthy more fun! This sauce was less sauce and more just chunky tomatoes. If you like smoother tomato sauces, you may want to substitute your own sauce instead. Place a large saucepan over medium heat. Add the tomatoes, onion, garlic powder, basil, salt, and pepper to the pan and stir. Cook over until thickened, about 45 minutes. While cooking, mash the tomatoes with the back of a wooden spoon. Add the tomato paste and sugar. Stir well. Let simmer for about 5 minutes. You may need to add some water if your consistency isn't right. *I used a frozen mix of sliced onions and peppers. Thaw them first. Preheat oven to 400F. Toss all veggies except zucchini with oil and spices. (If using frozen peppers and onions, leave them out too.) Roast veggies for 20 minutes. After 20 minutes, add zucchini (and frozen peppers and onions, if using). Toss and return to the oven for 10 minutes. Once the garlic cools, peel off skin and slice. Add with the rest of the veggies. I drain my noodles then lay them out on a clean towel for easier assembly. Preheat oven to 350F. Spray a 9x13 baking dish with nonstick spray. Spread a thin layer of sauce on the bottom of the dish. Add a layer of noodles. Top with 1/3 of remaining sauce. Top with 1/2 of the roasted vegetables. Top with 1/3 of cheeses. Repeat once more. Top with a layer of noodles, remaining sauce and cheese. Cover with foil and bake 40 minutes. I had never tried carrot cake until 2 months ago. At a local vegetarian restaurant, they have cakes the size of a toddler. Not really, but they are pretty big. I got a slice of death by chocolate because...well...I am me. And death by chocolate is my alley. Not even up or down my alley. It actually IS my alley. Anyway, I took a bite of someone else's carrot cake and I have been obsessed with making carrot cake ever since. Preheat the oven to 350F. Line two cupcake pans with paper liners. 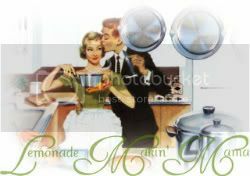 In a large mixing bowl, combine the flour, baking powder, baking soda, spices and salt; whisk together and set aside. In a food processor fitted with a shredding disk, shred the carrots (about 3 cups). Add the carrots to the bowl with the dry ingredients and set aside. Wipe out the bowl of the food processor and fit with the metal blade. Process the sugars and eggs until frothy and well combined, about 20 seconds. With the machine running, add the oil in a steady stream through the feed tube. Continue to process until the mixture is light in color and well emulsified, about 20 more seconds. Transfer to mixing bowl with carrots and dry ingredients. Stir together until well incorporated and no streaks of flour remain. Scoop evenly into prepared cupcake liners. Bake for about 20-24 minutes or until a toothpick inserted in the center comes out clean. (This took only 20 minutes for me, so be sure to check early.) Let cool in the pan at least 5 minutes, then transfer to a wire rack to cool completely before frosting. To make the frosting, simply beat together cream cheese and butter until light and fluffy. Add the powdered sugar and vanilla and beat until smooth and creamy. Add to a piping bag and pipe onto cooled cupcakes. Garnish with chopped pecans or carrot curls, if desired. I thought there needed to be more carrots. Maybe because I'm crazy about veggies. :) But when you bite into a carrot cake cupcake, you expect CARROT, with a sweetness of course. I didn't get that with the amount of carrots in the recipe. Other than that, the recipe was perfect. Moist, with excellent texture. The brown sugar really caramelized the tops, if you can't tell from the pictures, which was divine. A while back, I created and submitted a recipe to Foodbuzz's Tastemaker program using Newman's Own ingredients. To my surprise, my recipe was actually chosen! It was just bad timing that I received my package the weekend I was sick as a dog with both strep and flu and then I had to fly out to Utah to see my Grandma. So this weekend was the first chance I had to shoot my video. I do have to say that I was extremely nervous doing this video. I wasn't until that red light came on and then I just couldn't speak properly. And the fact that the director and producer kept trying to show you my face instead of the food. What is that about? Anyway, enjoy and remember that I am a beginner. :) If you don't want to watch the video or are too busy laughing at my speaking problems to write down the recipe, it's after the video. Preheat oven to 400°rees;F. If you have a pizza stone, set it in the oven. I don't have one yet so I just lightly greased a baking pan and set it on top of the oven to warm it up some. Heat a nonstick skillet sprayed lightly with canola oil over medium heat. After about 90 seconds, add the meatballs carefully. Meatless meatballs crumble pretty easily so be careful while adding and turning. Give the meatballs about 2-3 minutes before turning. After turning once, add the peppers to the skillet. After 2-3 minutes more, turn the heat to low. Let the peppers and onions cook for 5-7 minutes longer, or until peppers are browned and meatballs are no longer frozen. While peppers and meatballs are cooking, you can form the dough. On a lightly floured surface, slice dough into two even portions. Work the dough into large circles. Mine were more like ovals which worked well. To assemble sauce, pour half of desired sauce onto each circle, leaving a 1/2-inch border. (Despite what I said in the video, a 1-inch border was far too much crust.) Top each with half the meatballs and peppers. Top each with 1/2 mozzarella and sprinkle with 1/2 the basil. Fold each calzone in half carefully. Pinch the edges together and use a fork for decorative edges, if desired. Brush each calzone with some egg wash. Gently transfer the calzones to the baking surface and bake for 20-25 minutes, or until golden brown. Disclosure: I received Newman's Own products and a Flip video camera from Foodbuzz and Newman's Own to make the recipe and record the video with. The opinions expressed are my own. I'm baaaack. It was great to see my Grandma and the weather in Utah treated me nicely (surprise!) but is wonderful to be home. And hopefully can get things back to a normal rhythm very soon. My body is seriously craving a normal rhythm. Let's celebrate with a giveaway, shall we?! :) CSN stores is offering one of my readers (yes, one of you!) a $30 gift code to any of their stores! CSN stores has over 200 stores so I am sure that you will be able to find something for you :) For me? Well, there's something about generic apartment lighting that has me dreaming of gorgeous light fixtures one day. Pendant Lighting has this beauty for hanging over a kitchen island. Want to know how to enter? It's simple! Follow this blog (scroll down a bit on the right sidebar). If you already follow, skip to the next step! Visit CSN stores and leave a comment here letting me know what catches your eye! Both of these steps are required and only count as one entry. 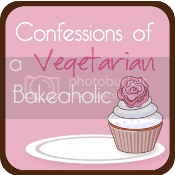 Like Confessions of a Vegetarian Bakeholic on Facebook (or tell me you already do!) and leave a separate comment telling me you do. Blog about this giveaway and leave a link! Giveaway open to U.S. and Canada residents only. Giveaway ends Tuesday, March 22nd. Maximum of three entries per person. I was contacted by CSN stores to host this giveaway. The opinions expressed are my own. *I used Dorot for the cilantro, which is frozen herbs! It's so cool because I hate wasting herbs but fresh ones add such great flavor. Frozen herbs aren't as easy to work with for garnishes (I just mixed this in with the spices) but the flavor was still top notch! I only had to use two squares and I have the rest in my freezer for next time. I found it at Trader Joe's. Preheat oven to 400°F. Heat the oil in a large nonstick pan. Add the peppers & onions, celery, and garlic. Saute about 10 minutes, until celery is tender. Mix in chili powder, Italian seasoning, cumin, and crushed red pepper. Add in canned tomatoes and bring to a boil. Let simmer for about 5 minutes. Mix in beans, corn and rice. If pan is oven-safe, cover with cheese and stick the pan in the oven to bake. My pan is oven safe but I tend not to use it because I'm over careful with my pan. :) I transfered the mixture to a prepared casserole dish, topped with cheese and baked for 15 minutes.